The OOS has produced annual reports on the Birds of Oxfordshire every year since 1925 (the initial issue covered 19151924). These are sent free to members and are available to non-members price £6.50 plus postage and packing. 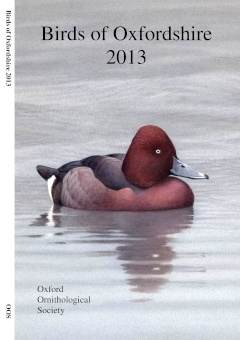 The Annual Report is usually published in the second half of the following year, and summarises all records received for the year, with occasional papers on subjects of ornithological interest, a summary of ringing activities and other material. For enquiries regarding current or past Annual Reports, contact Roy Overall.